1 block off the Victory Memorial Drive and miles of recreation! Classic Tudor charm with a huge kitchen for entertaining & main floor family room. This home feels huge inside! Spacious upper level balcony overlooks a lushly landscaped and fully fenced backyard. This back yard is incredible! Two spacious main floor bedrooms, and two upper bedrooms as well. Both vintage baths are in mint condition. 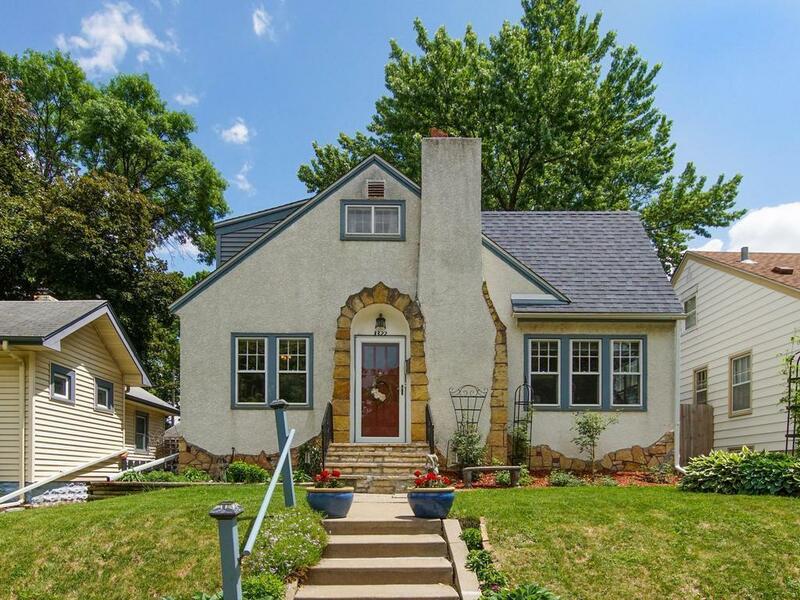 Excellent location with quick access to downtown Minneapolis.